This new project design is coming from a general other direction as normally projects are getting designed. 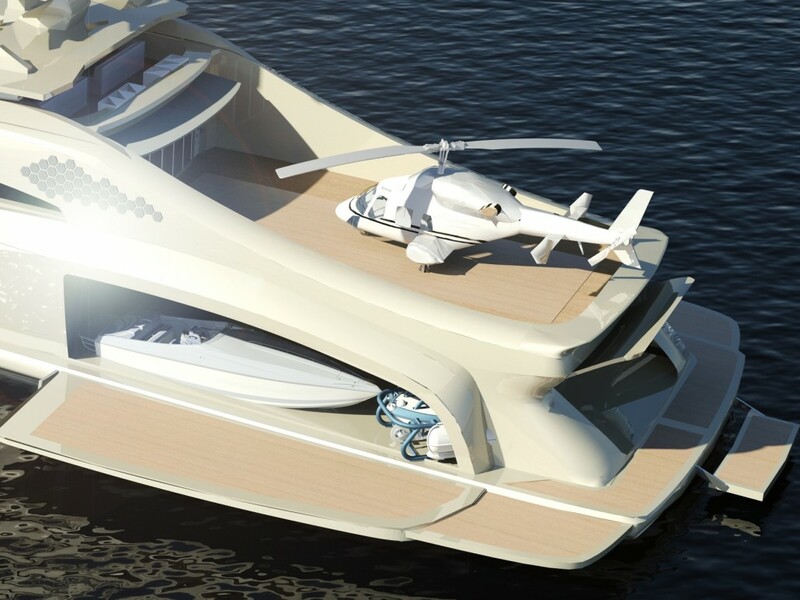 Our designers collected all innovate ideas and features owners ask for on yachts in the past on a certain length category and started with the most difficult task to integrate a helicopter hangar into a +60m yacht by not losing the general operation, quality and lifestyle on a yacht. 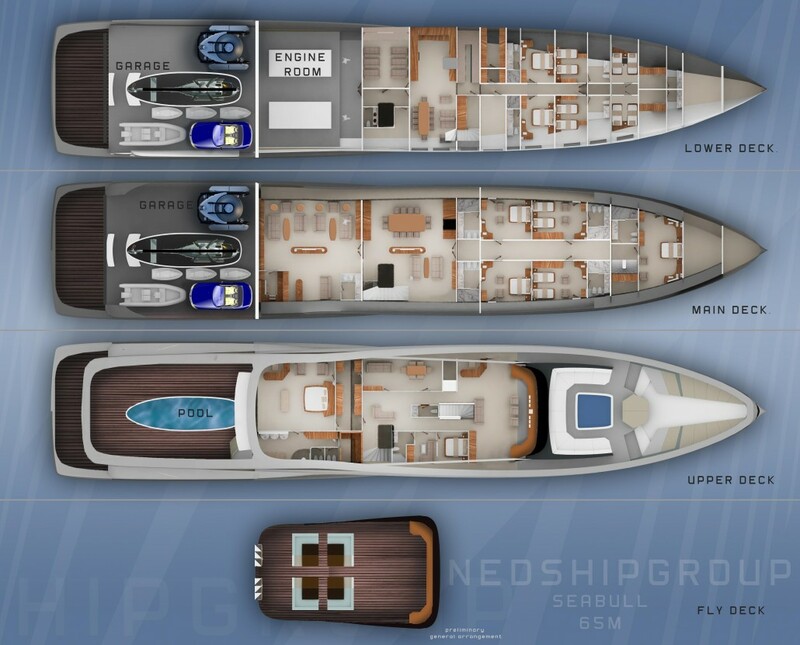 According to the motto “simplify to the max”, NEDSHIP is offering a solution for owners with a very flexible option list, so the owner can chose exactly the configuration he likes for his personal lifestyle and environment. 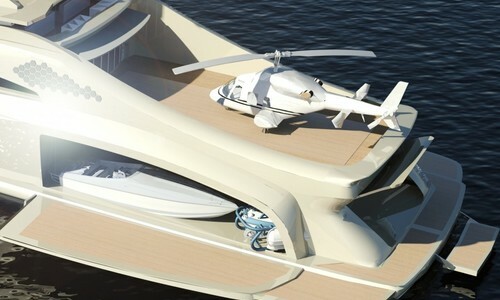 Not every owner needs a helicopter hangar or a submarine, they like more the spacious salons or additional room features. 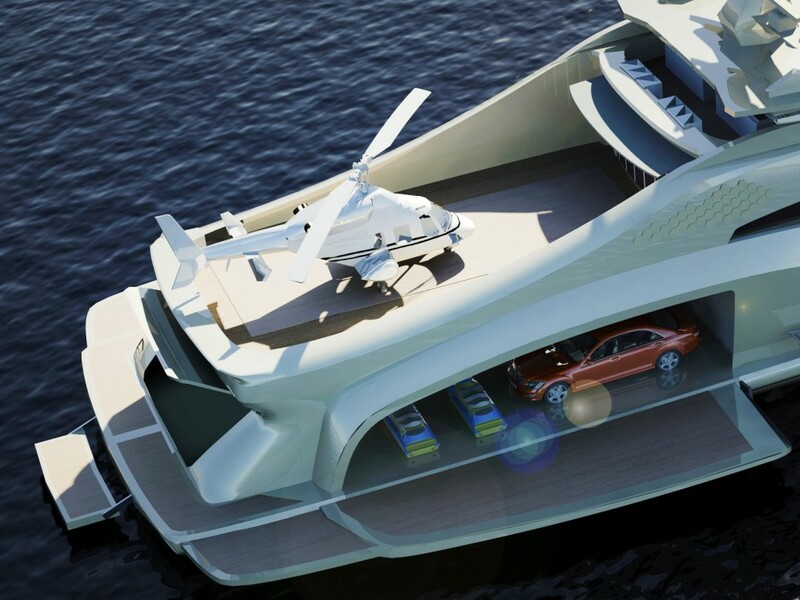 Once we do not need a helicopter hangar, the owner suite, the salon on the main deck, the pool area as well as the garage will benefit on this additional space. 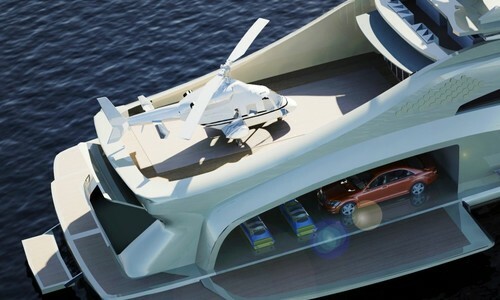 And even with helicopter hangar it is more than spacious, compare to other yachts this size and style. 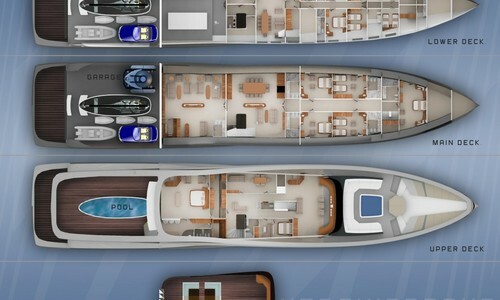 The NEDSHIP “SEA BULL” 65m offers at high sea in open Ocean conditions a much saver stability than the most advanced multi hulls on the market. Based also on Carbon Kevlar structures, designed for the highest possible impact resistance at the best possible lifestyle and environment friendly. 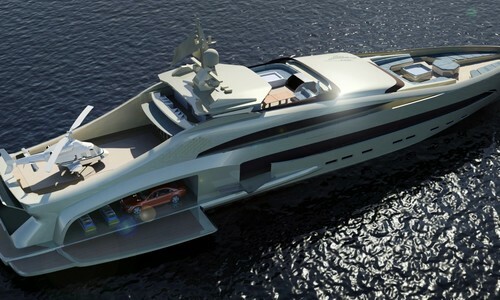 To customize your own yacht based on the general design of the new “SEA BULL” model will give the customized dream yacht each owner would like to have. And dreams are only on step forward. 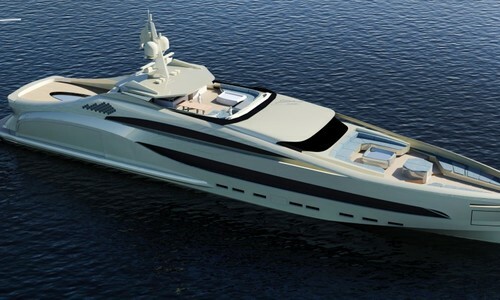 Talk with us as we love to customize the yacht for to create your swimming luxury island for freedom, silence, social meetings and business. Sportive but not that extreme appearance, to stay still timeless for the future. 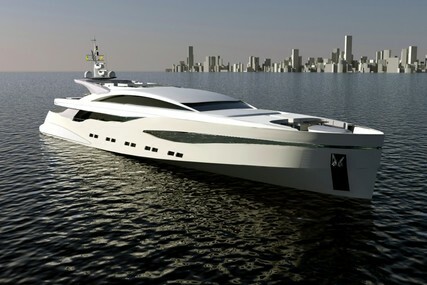 The function and storage of a Trawler, the elegance of a Mega yacht and the performance of a Sport yacht. 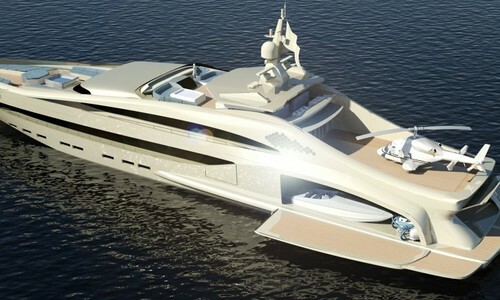 Beside a fully equipped yacht with all functions also a lower budget solution on the same design. 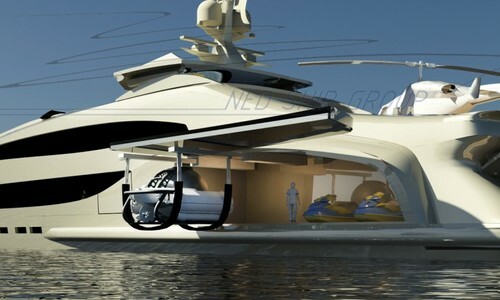 All sports and toy gadgets in the garage as diving equipment, jet skis, surfboards etc…..
160 sqm master suite on the upper deck with its own terrace. 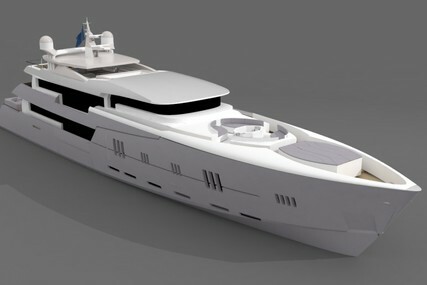 most advanced multi hulls on the market. possible lifestyle and environment friendly. 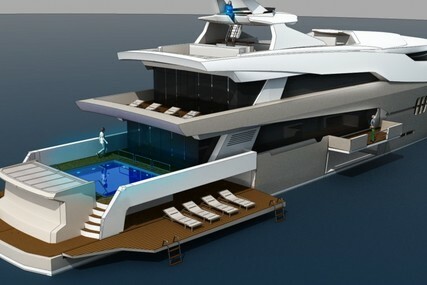 customized dream yacht each owner would like to have. 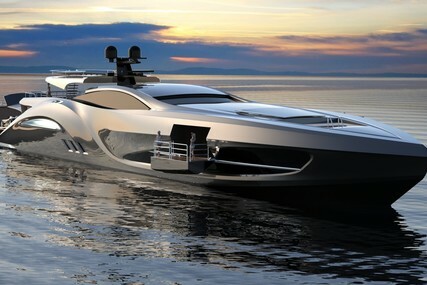 We even are able to support and assist You to finance Your ideas and special dream project .